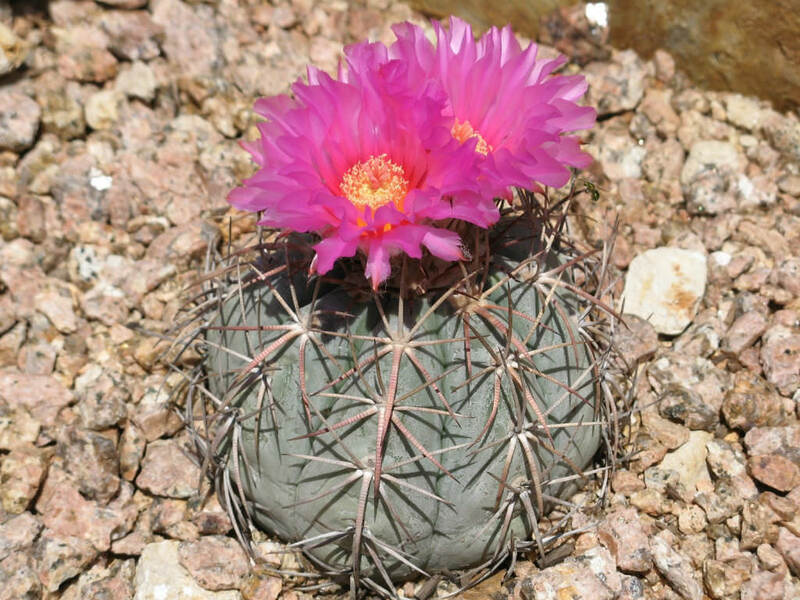 Echinocactus horizonthalonius is a relatively small barrel cactus up to 18 inches (45 cm) tall and up to 8 inches (20 cm) wide. It is gray-green to blue-gray in color and spherical, hemispherical, columnar, or flat-topped in shape and normally grows unbranched. The body is made up of curving sections that twist around the body in a helical fashion. 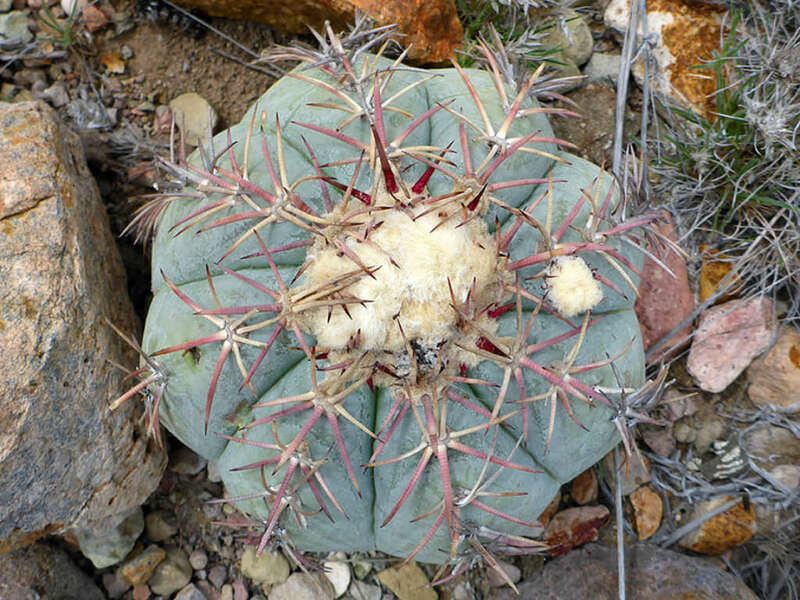 These sections are lined with areoles bearing up to 10 spines each. 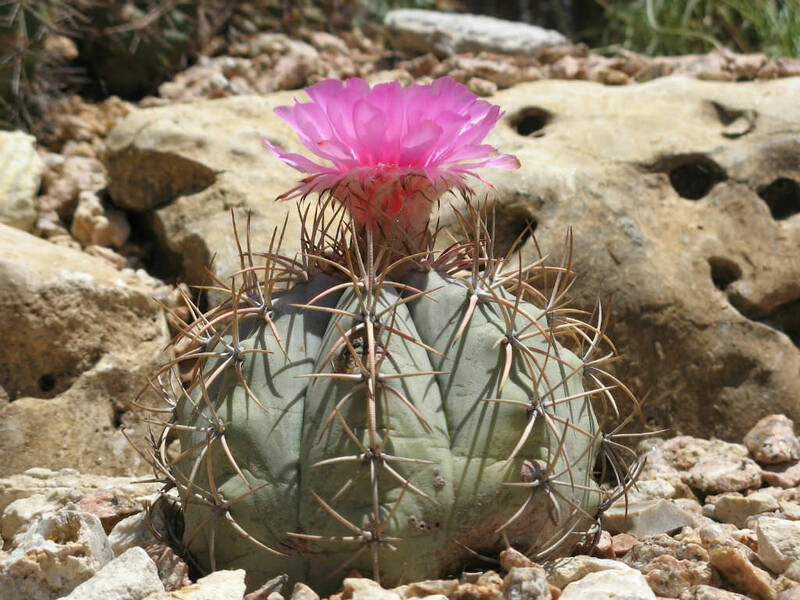 The pink, gray, or brown spines may be up to 1.6 inches (4 cm) long. 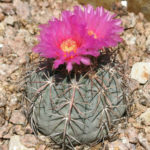 The flowers are bright pink to magenta and up to 3.6 inches (9 cm) wide. They open around midday and close for the night. 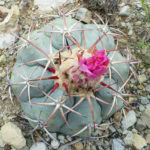 They also open after the plant receives rainfall, and although most of the flowers occur in June, they may bloom again in late summer and fall if rain occurs. 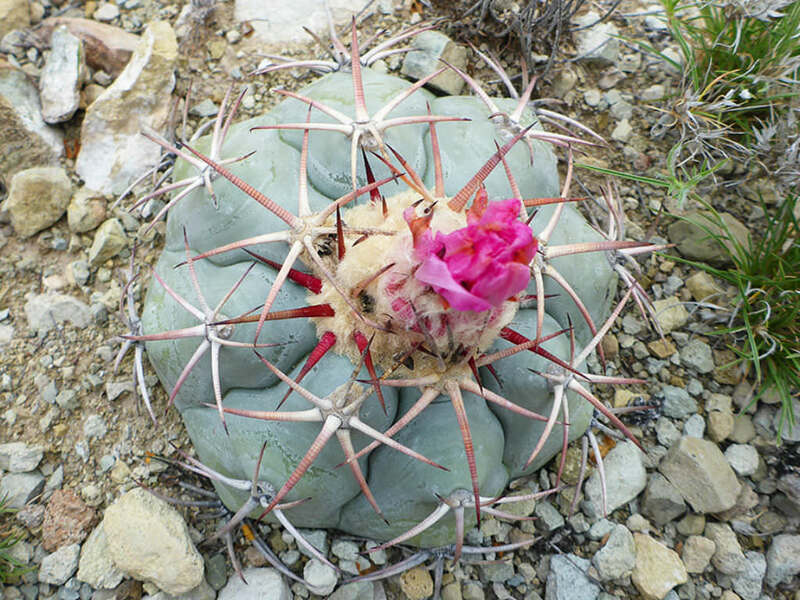 The fruit is hairy or woolly and pink or red in color. 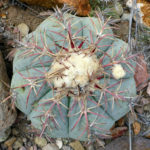 Native to the southwestern United States and northern Mexico, where it occurs in Chihuahuan Desert and Sonoran Desert habitats, particularly on limestone substrates.